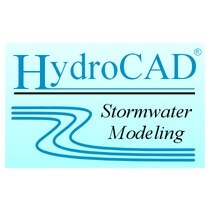 StormTank Module systems are used to regulate the flow of stormwater. They are designed to restrict the discharge rate of stormwater runoff by providing large-volume storage and incorporating an impermeable liner to prevent infiltration. In infiltration systems, the Module is used to temporarily store stormwater runoff until it is able to percolate into the surrounding soil and recharge the groundwater table. The modular basins use an impermeable liner to detain runoff and a pump to circulate grey water, reducing demand on the potable water supply and improving sustainability. The modular basins compensate for areas that lack or require additional capacity by providing the necessary stormwater runoff solutions to allow for utilization of previously inaccessible land. With models providing as much as 97% void space, the Module offers the largest void space of any subsurface stormwater management system currently on the market. The Module system does not include any internal walls or partitions, allowing for easy inspection and maintenance. Durable polypropylene panels (platens) are engineered for stability and uniformly distribute load to the modular basin columns. PVC columns are designed with reinforcing structural ribs. They are available in five different heights and enable system stackability. Durable polypropylene side panels are installed around the Module perimeter to prevent fill material from the entering the basin. The StormTank team designed not one, but two, systems for the Havana Square Apartments. The Module’s flexibility enabled the team to work around a complex site layout, mitigating flooding and helping to revitalize a previously vacant area. By working with the contractor on the Ephrata National Bank project, StormTank converted a spec using two different storage products into a Module system, helping the customer to save time and money on the installation. With space at a premium but a pressing need to expand, Dickinson turned to StormTank for a solution. A double-stack Module system was designed to not only fit within the college’s constraints but do so without impacting buildable land. Sheetz purchased two small properties with a goal of redeveloping the sites to accommodate a gas station and convenience store. An innovative StormTank design helped them to maximize land availability and prevent sinkholes, which are common in the area. The Gulf Breeze project required a cost-effective stormwater management solution to offset the high cost of stone in the area. The Module’s small footprint and layout flexibility reduced project costs by reducing the amount of stone backfill needed for the installation. The StormTank Module is a subsurface stormwater storage unit commonly used for stormwater retention, detention, infiltration, and rainwater harvesting applications. It is load-rated for use under surfaces such as parking lots and athletic fields, maximizing storage while allowing for utilization of valuable land. The Module system can be flexibly designed to meet your specific site requirements and achieve compliance with strict runoff regulations. It is easily designed around existing structures and tight constraints, offered in a range of column heights to vary storage capacity and is stackable to reduce installation footprint. Storm Tank offers support during the design, review, and construction phases of the Module system. StormTank modules are delivered to the site as palletized components requiring simple assembly. No special equipment, tools, or bonding agents are required; only a rubber mallet. A single worker can typically assemble a module in less than 75 seconds.